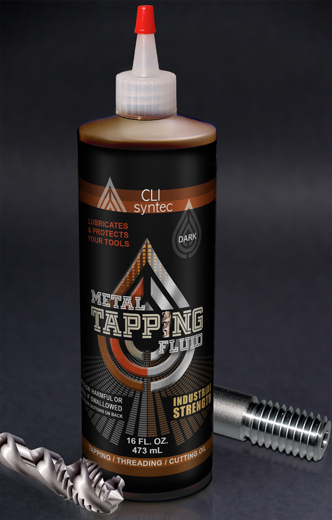 CLI syntec Metal Tapping Fluid is a premium, high performance cutting oil designed for the most extreme pressure operations such as tapping, threading, and reaming of stainless and other high alloy steels. Formulated to produce optimum thread quality, while cooling material surface and enhancing metal / workpiece barrier. 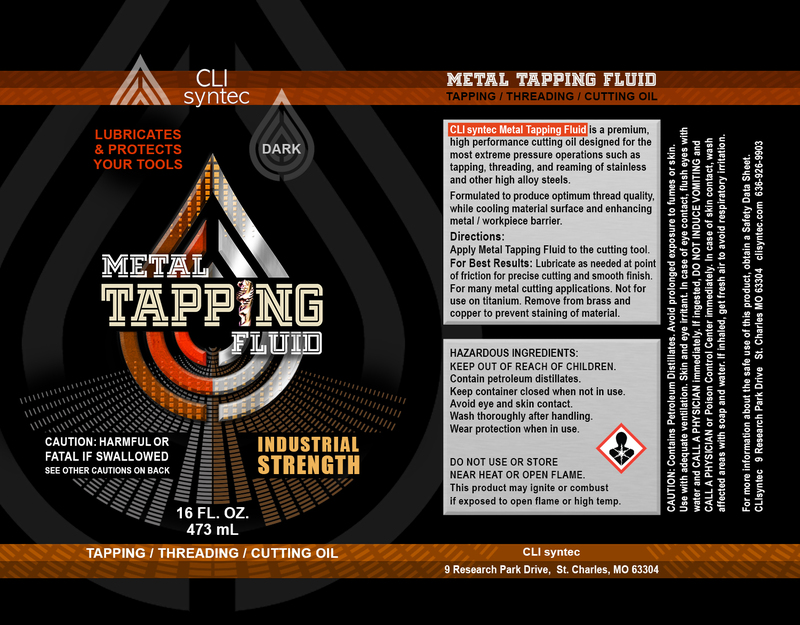 Directions: Apply Metal Tapping Fluid to the cutting tool. Lubricate as needed at point of friction for precise cutting and smooth finish. For all metal cutting applications. Remove from brass and copper after use to prevent staining of material. New Industrial Strength Products now available for your Home Shop!